For decades, comic books have been printed in color. But now they truly reflect American society. Mainstream comic book superheroes have been redrawn. They are moving from the brown-haired, blue-eyed white male into a world of crusaders that reflect a greater diversity in their audience. 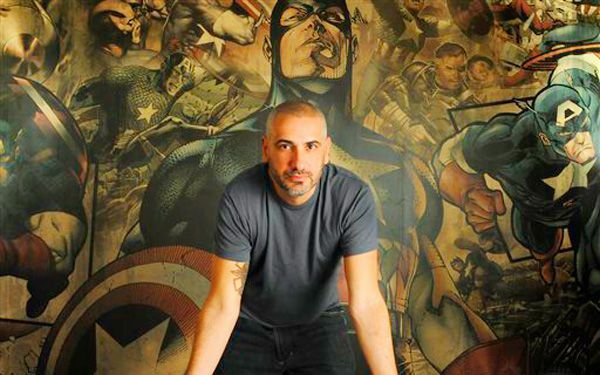 Society has changed, so superheroes have to as well, said Axel Alonso. He is editor in chief at Marvel Comics. In November, it debuted Captain America No. 1 with Samuel Wilson. 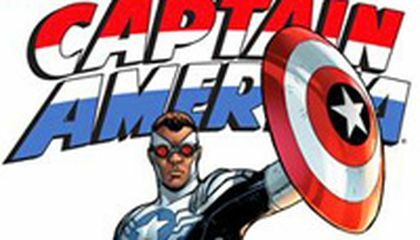 He is the first African American superhero taking over Captain America's red, white and blue uniform and shield. Marvel isn't the only company looking at diversity. An alternative black Superman is president of the United States. He is part of a team in DC Comics' "The Multiversity." DC also brags of having more comic books featuring female leads. The titles include Wonder Woman, the longest-running comic book with a female hero. But not everyone is happy with the changes. "Changing people's race or changing people's gender can feel more threatening or a bigger deal than changing Thor into a frog," said Berlasky. He was referencing a popular storyline in which the Norse god transforms into an amphibian. Movies based on superheroes, like Marvel's The Avengers, and DC's Man of Steel, are driving a new audience to comic books. Comic book companies want characters that those fans can relate to, said Cheryl Lynn Eaton. She is head of the Ormes Society. The group promotes black female comic creators and the inclusion of black women in the comics industry. "The stories of Superman. The story of Batman. We're likely to be telling them 40 years from now. And we've already been telling them for decades," Eaton said. "They are telling us sort of how to live life and how we relate in this world. So I think it's important for everyone, for people of different backgrounds, to have a say." I do not like this idea of all these other new super heroes because the like literally they say that they are going to be different gender or skin but that is just weird. I wish they don't do this because then some people might not like Marvel or DC anymore. Why can't they just make an another story abot them but why do they need to change the character. William, there are no new characters. They were just modified to look differently. Also, superheroes aren't real. They seem real because they are in movies with real people acting as them. Superheroes do not exist so do not expect to see one. REBUTTAL: William, I disagree that the book creators are cool since the book creators were the ones who changed Thor into a women. I don't think that changing Thor into a women was a good idea. Also there are no new characters, and instead they were modified. You won't be able to see the characters in real life, but instead you can see the actors who are disguises as heroes. William, I really disagree with you because they are no new characters at all. They just changed how the characters loo like and changed there personality. Also super heroes aren't real at all so you will never actually never see super heroes. You may see them in movies but there just real people acting them out so you could meet the actors but not real super heroes. William, there aren't any new characters. They are old and they just made it look cooler so that the characters look like they are new. Captain America and Thor are always Captain America and Thor. They don't change. If they change their names, then they are still considered Captain American and Thor. So to make everything clear, William, there aren't any new characters. Marvel is redrawing their characters because of changes in society so they think they should change Thor, Captain America, Spider-Man, and even Mrs. Marvel herself. I am a big fan on Marvel and I think it is great the way it is!